The GoTriangle board of trustees voted unanimously but reluctantly Wednesday to end the Durham-Orange Light Rail Transit project. After a closed-door session Wednesday, general manager Jeff Mann recommended to the board that the agency discontinue the $2.7 billion construction project to connect UNC Hospitals in Chapel Hill with Duke University and other destinations along an 18-mile route. 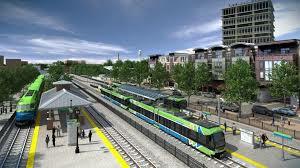 Opposition from Duke University, escalating project costs and two state deadlines were forcing possible major cuts in the 19-station project, including eliminating a planned stop at N.C. Central University, GoTriangle officials said.